It’s been six years since writer and director Mike Mills gave us the delightful yet moving Beginners, based on his own experiences when his father, after the death of his mother, came out as being gay. Now comes 20th Century Women, which is part autobiographical and is made up of people in his life. Like his previous film, this is a fascinating examination of relationships and family. It’s also a gem of a film. Jamie is growing up in 1979 in a house with his single mother, Dorothea, a handyman who is renovating the building and a feminist photographer called Abbie, who is trying to find her own identity. Every night he is visited by Julie, who he is madly in love with but she only loves him as a friend. In this confused time of change, when the 70’s are on their last legs, punk is speaking to the youth and President Carter is signing his own goodbye, Jamie’s personal changes start affecting his relationship with his free-spirited mother who only wants the best for her son. Lacking in plot, this is a character-driven piece that takes events in one family and, like real life, we are privileged to watch as they struggle with their own demons and try to teach a young man the ways of the world as it goes through its own changes. Structurally it is all over the place, yet for some reason, spending times with this assortment of characters is one that brings a certain amount of pleasure. The script is neat and intelligent and like so many of the other “issue” films (Fences, Moonlight, Manchester By The Sea) is doesn’t allow the context to drive the story forward, yet gives time for these people to grow on us, to feel their various pains and anxieties, while at the same time, never taking advantage of our good nature to talk down to us or forget that we, the audience, are being the voyeurs into the world of a strange family. What also helps is having a terrific, unconventional soundtrack. It would have been so easy for Mills to deliver a 70’s slice of nostalgia with all the usual suspects (The Police, Blondie etc). Instead, we get lesser known tracks from Talking Heads, Siouxsie and the Banshees and Devo) which counterbalances the events occurring in clubs in LA during that time (COCO Club for example). As well as references to the ever changing political situation, when Carter addressed the nation with his consumption and virtually put an end to his career. The cast does an exceptional job too. 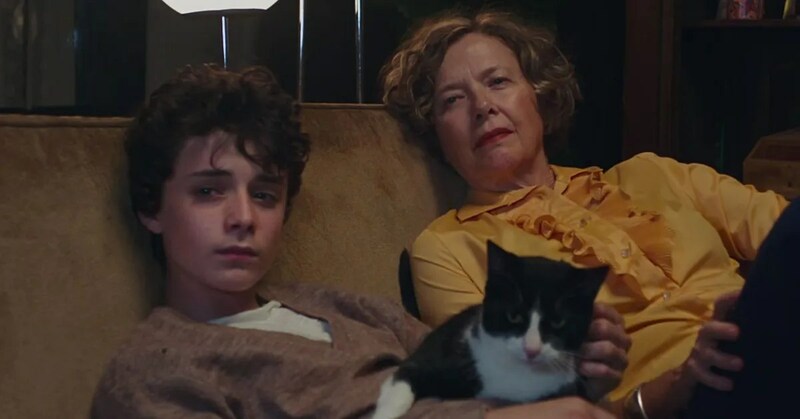 Annette Bening is given a role she can really get her teeth into, as the matriarch Dorothea, a woman with her own values and ideals that she doesn’t want to inflict on her son and yet cannot help interfering when she feels she needs to. She is always an actress who can be relied upon and here is no exception. The talented Elle Fanning, who seems to be leaving her sister, Dakota, in the dark, is a delight as the sexually frustrated Julie, while queen oof the indie flick, Greta Gerwin, gives us another very different performance as the feminist, Abbie. 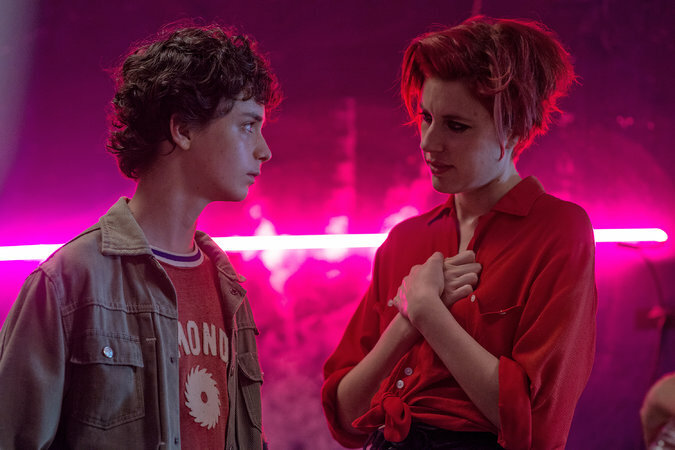 Surrounded by these strong females is Lucas Jade Zumann as Jamie, a boy tackling the difficulties of teenage years while getting mixed signals from the women who are guiding his life. It’s a delightful performance from the young actor. 20th Century Women may not be everybody’s cup of tea. It isn’t fast-paced, brimming with action but what it does deliver is great intelligence, pitch-perfect performances and a writer and director who is really growing in confidence and stature. A terrific small gem.